Draperies make a style statement that is both sophisticated and uniquely personal. The soft, high quality fabric adds refinement and warmth to any rooms whether it is casual or formal. From covering the sunlit windows, insulating from the cold and heat to simply dazzling a room’s appearance, Custom draperies work wonder. Getting a custom drapery installed in your home can be a challenging decision for many homeowners. Frankly speaking, custom drapery is bit costly when compared to ready-to-hang draperies but the good thing is that it offers multiple advantages in relation to common draperies. 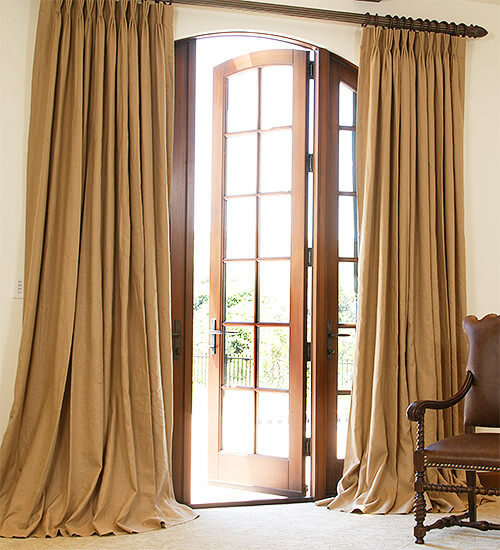 At H. Sewing Draperies, you are in control of every aspect of your customised drapes. We use luxurious fabrics to transform your home into something beautiful. Most ready to hang draperies come in a limited variety of colors and fabrics. With custom drapery Toronto you are bereft of the possibility for settling on a fabric that doesn’t tune well with your taste and preference. By picking from a wide array of designer fabrics you can be sure that your drapes will be exactly how you want them to be. In addition to selecting the fabric for your custom drapes Toronto, H. Sewing Draperies also gives you the ability to select the size. Most ready- made draperies come in standard size but neither everyone’s windows nor the ceiling height are same. With ready made draperies, this is usually not possible because of the incorrect length. Ready to hang drapery might not fit all across your window and this leaves you with the option of never closing your blinds. The lining for drapery is pretty important. If the sun hits the back of your drapery and the drapery is not lined properly, the chances of color and pattern being distorted are inevitable. This back lighting changes the color of your drapery and the new color that is created may look horrible in your room. However, when you opt for custom drapery in Toronto this concern won’t be something you have to worry about. So, what else do you want? Brighten up Your Interiors with Custom Drapes Toronto & feel the difference!